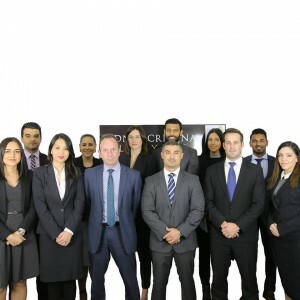 Posted February 5, 2019 by Sydney Criminal Lawyers & filed under Criminal Law, NSW Courts. At around 1 am on 3 August 2013, Allira Holt arrived at Louise Bodeker’s unit on Astoria Circuit in Maroubra to pick up Allira Green, who was about five months pregnant. Green and Bodeker – who’d both been consuming ice – decided they’d both go back to Holt’s place together. As Ms Holt went to leave the apartment, she saw Christopher Anderson – Ms Green’s partner – standing on the landing. Over the last day, Anderson had been texting Green heated messages over concerns about her drug use and the health of their unborn child. Mr Anderson and Ms Holt struggled at the door. He then entered the unit stating he was there for Ms Bodeker. Holt tried to stop him again. Anderson grabbed her by the throat and pushed her with such force that she and the other two women fell to the ground a few metres away. Ms Green took a kitchen knife out of a draw, held it above her head and moved towards Anderson. When Green drew closer, the pair struggled. Mr Anderson grabbed the knife from Green, and stabbed her once on the right side of her chest. He then left the apartment. Ms Holt called an ambulance and on arrival, the paramedics determined that Ms Green was dead. At around 12 pm that same day, Mr Anderson attended Maroubra police station and he was charged with Ms Green’s murder. On 16 November 2015, Mr Anderson’s NSW Supreme Court trial commenced before a jury. This followed an earlier trial, which had resulted in a hung jury. On the second day of the new proceedings, he pleaded guilty to one count of manslaughter, contrary to section 18 of the Crimes Act 1900. The maximum penalty for the offence of manslaughter is 25 years behind bars. The Crown accepted the plea on the basis of excessive self-defence. Section 421 of the Crimes Act states that it’s open to plead self-defence using excessive force that inflicts death if an offender tried to defend themselves and the conduct wasn’t “a reasonable response” as perceived by them. Justice Peter Hall said the central question was “the degree to which his conduct in stabbing the deceased was an excessive response”. His Honour stated that he thought Ms Green had grabbed the knife believing Anderson’s “anger would continue if not escalate”. His Honour further put forth that Anderson believed he had to defend himself as Green approached. But, after she was disarmed, she could no longer stab Anderson and therefore, as Green was disarmed, the “circumstances no longer justified” Anderson “deliberately stabbing” her. Anderson’s criminal record “disentitled him to any leniency” the justice ruled, as the offender had a long list of convictions, which were mainly acts of violence towards men. His last conviction though related to the assault his former partner for which he had been on conditional liberty at the time of the stabbing. Justice Hall sentenced Anderson on 8 April 2016 to 12 years and 9 months imprisonment, with a non-parole period of 9 years and 6 months. This sentence reflected a 20 percent discount for the utilitarian value of his guilty plea.  Mr Anderson appealed his sentence to the NSW Court of Criminal Appeal (NSWCCA) on 28 February last year. The first ground of appeal was that the sentencing judge made an error in his assessment as he failed to give effect to the agreed fact that the single stab was carried in out in self-defence. Section 191 of the Evidence Act 1995 defines an agreed fact as a “fact that the parties to a proceeding have agreed is not, for the purposes of the proceeding, to be disputed”. Agreed facts don’t need to be proven and nor should they be contradicted. The offender’s legal team argued that Justice Hall had departed from the agreed facts, as he stated that while Green had the knife, Anderson believed he needed to defend himself, but after she was disarmed this was no longer the case, as if “this were separate in time rather than in quick succession”. NSWCCA Justice Clifton Hoeben found that the sentencing judge, had indeed “set out a different narrative” that “was inconsistent with the agreed facts and inconsistent with the plea of guilty to manslaughter by way of excessive self-defence”. His Honour explained that Justice Hall’s recitation of the facts suggested that the offender’s actions could be divided into phases. The first being the struggle, followed by the disarming and stabbing. This suggests that Anderson’s actions were more akin to murder, than manslaughter. According to Justice Hoeben, this narrative fails to take into account the “dynamic nature of the struggle”. And for these reasons the ground was made out. His Honour also stated that this meant the second ground regarding the sentence being manifestly excessive no longer need to be considered. Justice Hoeben then referenced Kentwell v The Queen, in which the High Court justices stated that following a finding that a sentencing judge had acted “upon wrong principle”, it’s then up to the appeals court to exercise discretion “afresh” in regard to sentencing. The NSWCCA found that prior to the incident the couple’s relationship was volatile and fuelled by methamphetamine use. And in accessing the objective seriousness of the crime, the aggression shown by Mr Anderson on arrival at the apartment had to be considered. And even though the deceased was approaching Anderson with the knife held above her head, the offender still had the upper hand in the conflict due to his strength and he could have decided at that moment to leave the apartment rather than struggle with his assailant. In considering this, Justice Hoeben found that this was a “serious example of manslaughter”. And although Anderson’s text messages showed concern for his unborn baby, this wasn’t a mitigating factor, while the fact that he was on conditional liberty at the time was an aggravating factor. On 23 March last year, Justice Hoeben ordered that the sentence handed down by Justice Hall be quashed. And his Honour imposed a new sentence of 12 years imprisonment, with a non-parole period of 9 years. NSWCCA Justices Peter Johnson and Michael Adams agreed with the orders.